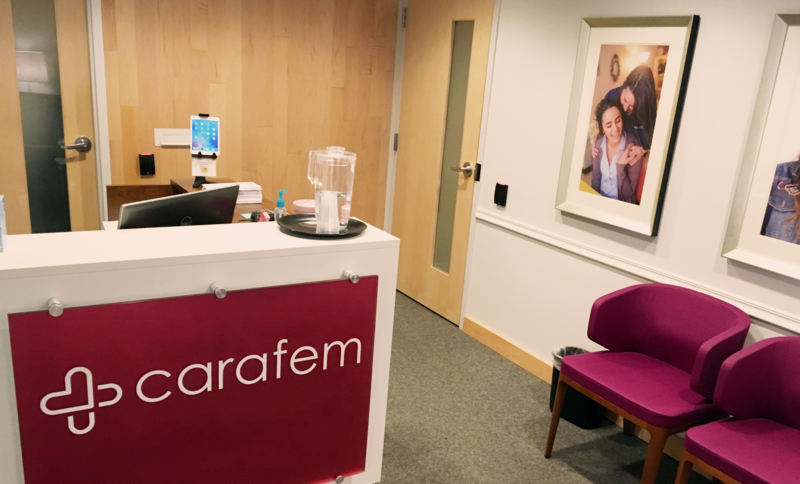 carafem Health Center & Abortion Clinic – Washington D.C. In our centers, we deliver high-quality, specialized care that is safe, supportive, and convenient. With a new model of early term abortion care, clients who come into our centers can find relief, strength, and confidence. Or call us any time at (855)-SAY-CARA and we’ll work with you to find a convenient appointment time! Caring, non-judgmental abortion care up to 13 weeks; offering the abortion pill as well as the carafem procedure. Maryland Medicaid is accepted for abortion — we offer a $50 discount for clients who have a current out-of-state Medicaid card. To find out more, call us at (855)-SAY-CARA. Appointments: Schedule over the phone at (855)-SAY-CARA or schedule online above. Need to get to our health center? Get directions to the D.C. carafem Health Center here. Our DC Metro center is located 3 blocks away from the Friendship Heights metro station on the red line, and is also conveniently located near several bus lines such as the 1, 11, 31, 32, 36, 37, E2, E4, and N4.